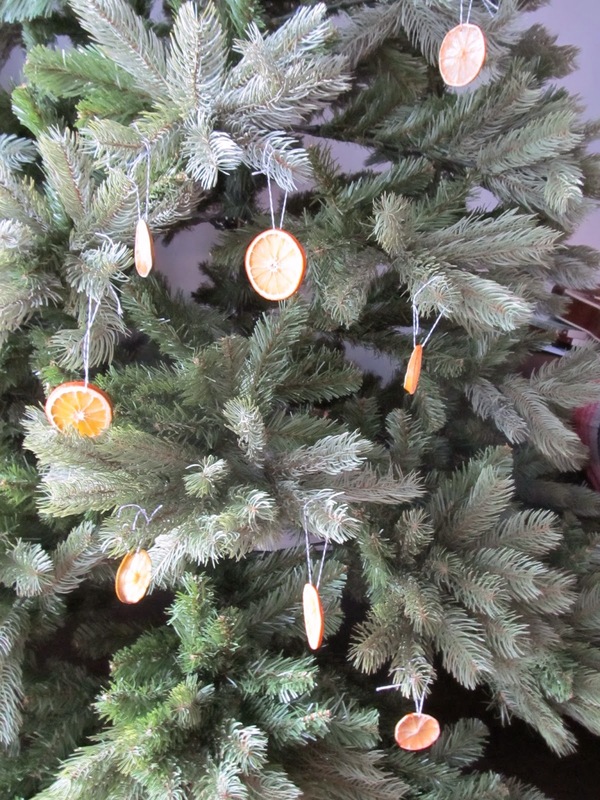 I had asked my mom several weeks ago how I could dry out some fruit for ornaments. 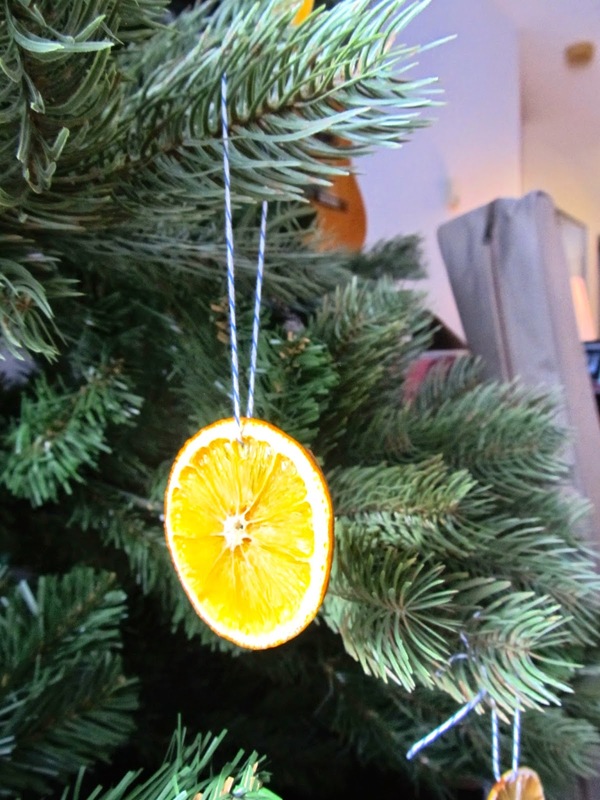 It was one of my favourite memories of making Christmas decorations with her, drying out orange slices to hang or sticking cloves into whole oranges as a centre piece. She couldn't remember exactly how long she cooked them in the oven and I had to find a recipe online. 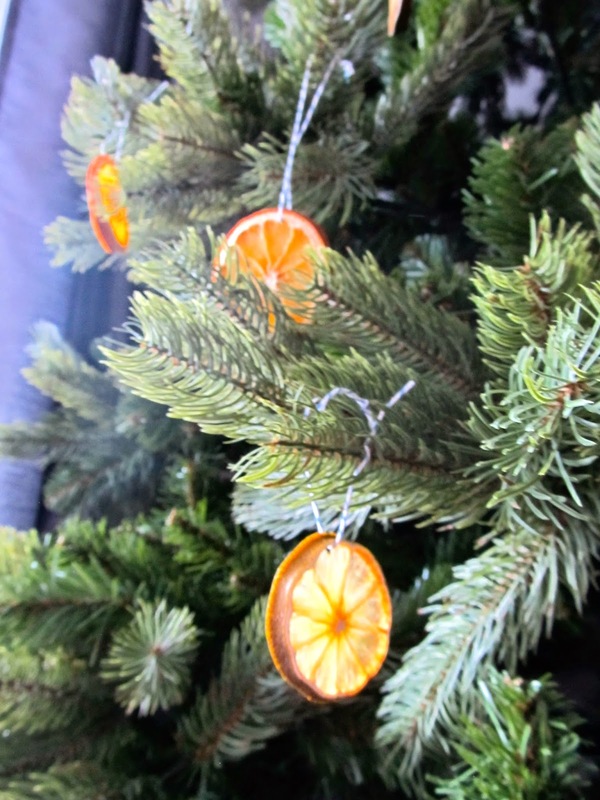 I was so ecstatic when A Beautiful Mess (one of my all time favourite blogs) posted this DIY of their dried citrus ornaments. 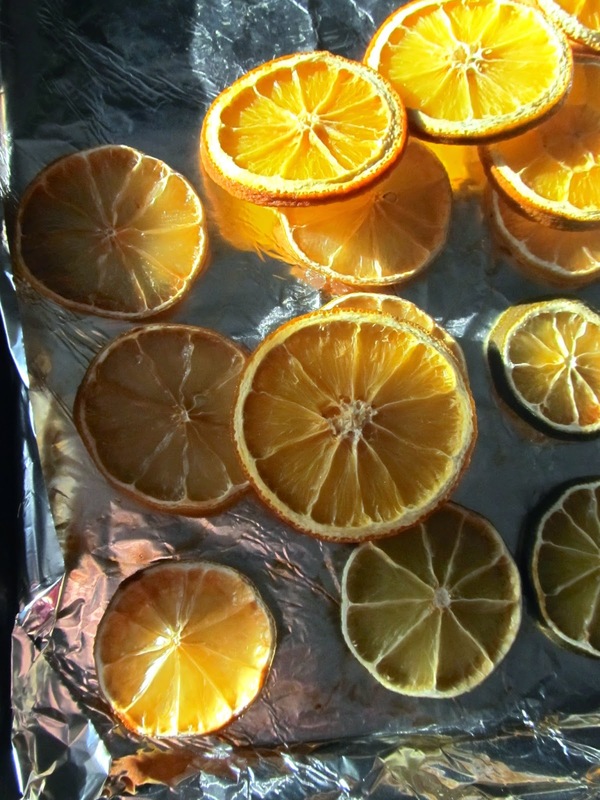 After seeing this post I went out and bought an orange, lemon, and lime so that I could dry them out for my home. 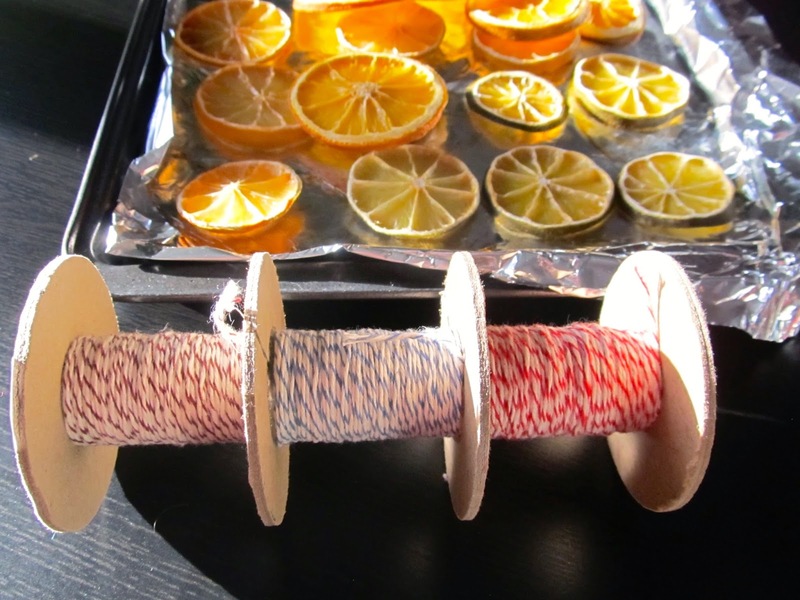 I followed this post exactly, however instead of using metal hooks, I wanted to use string for hanging. I love how it turned out. 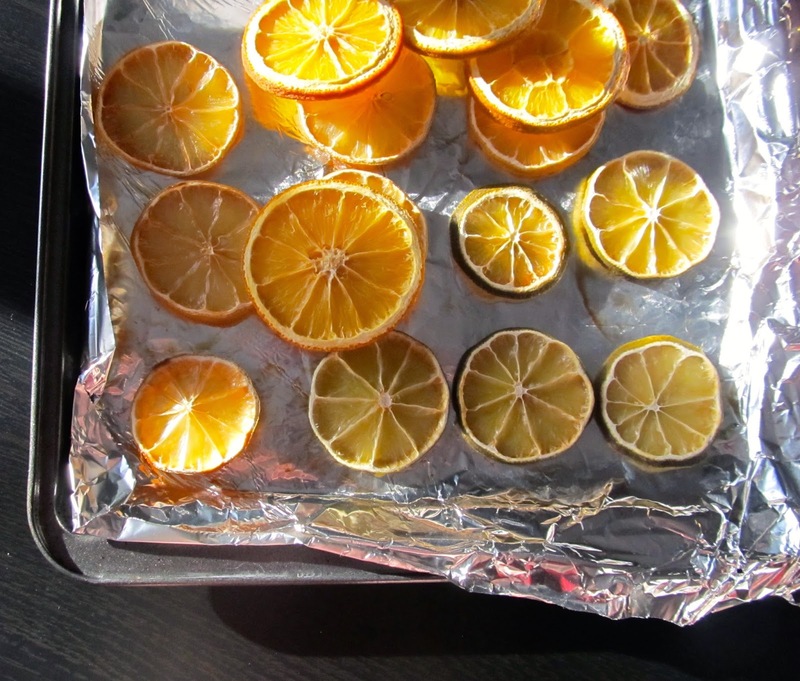 What was even more lovely was how wonderful the house smelled as the fruits slowly dried out when baking. It was wonderful. I really would like to make this DIY a tradition for us and I cannot wait until Bug is old enough to make them with me. I recommend trying this for sure, it was so easy.